When it comes to communicating on the web, social media networks and blogs seemingly get all the glory. However, if you’re looking to create a community where like-minded people can gather at an online watercooler and discuss issues on specific topics, neither of these platforms are necessarily optimal. To create such an environment, a forum is arguably your best bet. 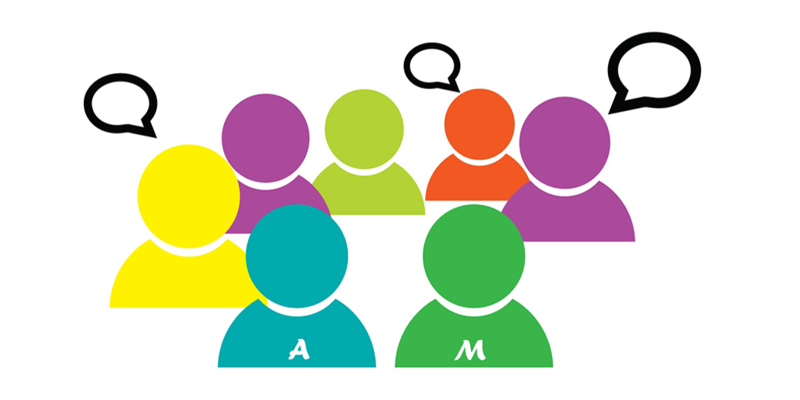 Using a forum will enable you to create an online community dedicated to as many topics as you want, and enable its users to share their thoughts in a moderated environment. To help you get started using forums, we’ll introduce you to five outstanding platforms that anyone can use to set up an online community. We’ll cover their key features and then discuss the types of communities they might be suitable for. Let’s get started! bbPress is an open-source forum platform built to work on top of the WordPress Content Management System (CMS) as part of its plugin system. The platform is compatible with most WordPress themes, and it’s under constant development, which is always a plus. Offers an easy to set up and clean forum experience. Comes with a step-by-step installer. Provides the option to divide your forum into defined sections. bbPress is a no-brainer for WordPress enthusiasts. If you’re familiar with the CMS, then getting this platform up and running will be easy. Furthermore, bbPress offers excellent documentation and an active community of its own. That makes it simple for new users to pick up the platform and troubleshoot any issues that may arise. Simple Machines Forum is a nonprofit that’s been hard at work on creating a top forum solution for almost a decade. Despite its somewhat outdated look, the platform remains popular among power users thanks to its wide variety of settings. Supports advanced user and permission management settings. Offers both a template and a package management system. Includes support for multiple languages. Provides users with several Search Engine Optimization (SEO) options. Comes with advanced security settings, including IP blocking and time-outs. Simple Machines Forum is completely free. Simple Machines Forum is not overly flashy, but it’s a sensible option for feature-minded users. The platform offers a wide variety of useful features, including advanced user and permission management, and SEO. Furthermore, it comes with a package manager of its own, which enables users to extend its functionality. If you’re looking for a lean, powerful forum solution, Simple Machines Forum fits the bill. vBulletin offers several forum solutions, including an enterprise service, vBulletin Connect, which will be our focus here. vBulletin Connect is purchased through a license, with enough features to warrant the price tag. A license for vBulletin Connect is $249. vBulletin Connect is an excellent option for users who are looking for a more advanced solution. While it may seem like a hefty price tag compared to the other options we’ve listed, vBulletin comes loaded with features for building large online communities. Add-ons are also available if you require more support, professional installation, or a white-label version. Overall, if you don’t mind paying for the license, vBulletin Connect can be a good fit for forums of any size. phpBB is one of the oldest forum projects still around. Its first version shipped near the end of 2000 and development has moved forward steadily since then. These days, the platform claims to be the most popular forum solution on the web. This is hard to prove, but either way, it’s certainly well known. Includes a robust extension system. Optimizes your forum for search engines. Features a comprehensive set of moderation options. Supports login via third-party services, including Google and Facebook. phpBB is an all round solid forum solution. It offers a good set of security, user management, and moderation features. Furthermore, it’s at the center of one of the largest communities for an online forum, which means that you’ll be able to find help no matter the issue. Overall, we’d recommend phpBB to users that are looking for a compromise between bbPress and Simple Machines Forum. It offers the best of both worlds, while still being easy to use. At first glance, Discourse doesn’t look much like the other picks we’ve covered so far. It’s clearly a forum platform, but one that prides itself on modernity. Many of its features are optimized for mobile devices, and the platform looks sleek on all of them. Optimized for use on touch devices. Comes with advanced community moderation settings. Offers a ‘Like’ function for posts. Includes a robust plugin system. Users can log in using their Google, Facebook, Twitter, and Yahoo accounts. 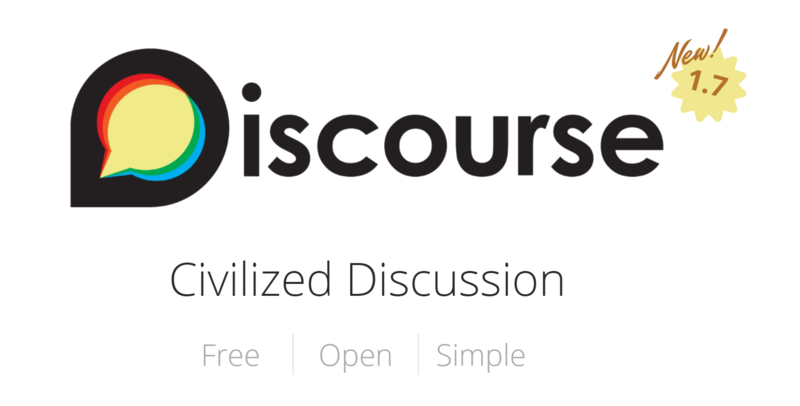 Discourse is an open-source platform, but it also offers forum hosting packages for businesses. 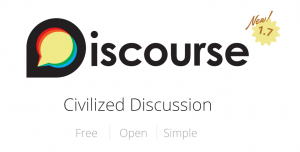 If you’re not a big fan of the traditional forum structure but still want to set up an online community, then Discourse might be what you’re looking for. This forum platform has a decidedly modern look, and it wouldn’t seem out of place on a startup’s website, or as a support forum. If you’re looking for a more current take on online forums, check it out. If you want to put together an online community where users can discuss their favorite topics outside of social media, a forum is your best bet. In fact, some web hosts (including us!) offer plans tailor-made for forums. bbPress: An easy to set up option for WordPress enthusiasts. Simple Machines Forum: A robust forum solution ideal for power users. vBulletin Connect: A solid option if you don’t mind paying for a license. phpBB: An all round excellent online forum solution. Discourse: A good option for users that want to implement a modern take on the traditional forum system. Do you have any questions about the five online forums we’ve covered in this article? Ask away in the comments section below!